For the second Battle Road tournament for opening weekend I was very intent on using a Landorus EX and Lugia EX deck variant. This is a deck I became really high on towards the end of last format, and it would have been my deck choice for the last weekend of State Championships if I had been able to get off of work to attend the tournament. 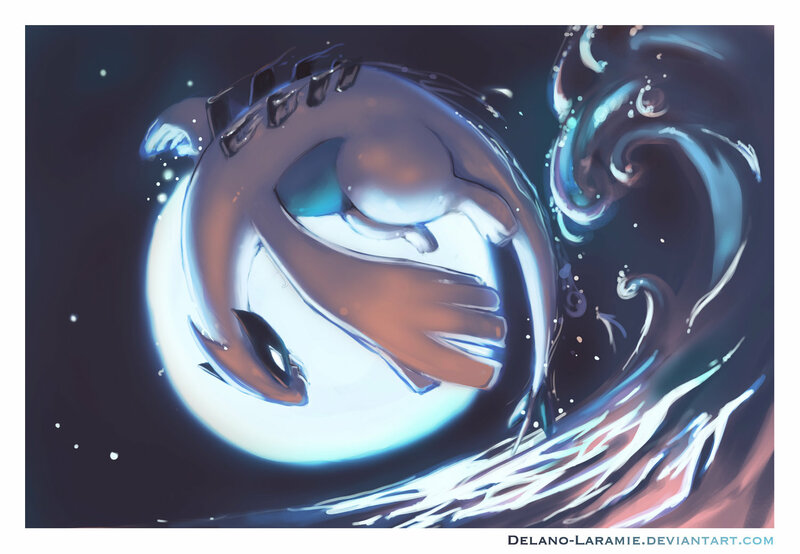 I’ve written about the deck before in its state last format for Six Prizes Underground, so feel free to check out The Plasma Engine and Lugia Love on there. To be honest, I hadn’t logged in a single game with the list I ended up using before the tournament, or anything like it, so this specific tournament is all the experience I have playing with this variant of the deck. Saturday evening after the Battle Road at Manticore I worked on putting together my list for the deck, and decided I really wanted to use my newly acquired Deoxys EX’s again, so I made my list with that in mind, and built the deck based on the Plasma Engine. Saturday morning, I took another look at what I had made, and switched out 4-5 cards. I arrived at the tournament venue, V-Stock in St. Peters, about 20 minutes before registration closed. I was told when filling out my decklist that John Roberts would be playing Klinklang, and there was another player there from the previous day that played Klinklang, and come to think of it, I talked to another player the previous day who was talking about Klinklang, so with Klinklang making up somewhere around 20 percent of the small tournament field (we ended up with right around 16 players I think), it seemed like a good idea to tech for Klinklang. In general, I favor Ninetales as my Klinklang counter, but I was playing Deoxys EX instead of Hypnotoxic Laser, so that was a no go. 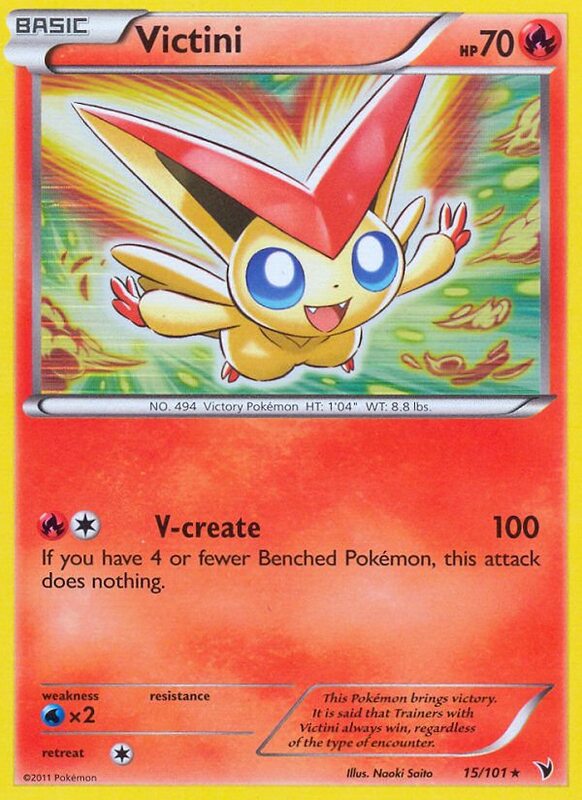 I ended up taking a Victini NVI 15 out of my deck box (I had it in the deck my girlfriend played the day before, but she thought Victini was stupid, so she took it out right before the tournament, only to find out why he was in there two rounds into the tournament when she was facing Klinklang). I threw that and a Fire Energy into my deck at the cost of my Max Potion and a Double Colorless Energy and scribbled out the changes to my deck list and handed it in. I kind of half assed my Klinklang counter in this tournament, but I knew Victini would give me a fighting chance in addition to early game pressure, Frozen City damage, and my Bouffalant DRX. I figured between all of those factors, I would have a chance at beating Klinklang in the tournament. The concept behind the deck is a very simple, yet very powerful one. Most players are playing EX heavy decks, so the strategy of this deck is to spread 30 damage onto two of your opponent’s Pokemon, and then setup a Lugia EX with three Deoxys EX on your bench and then take two knockouts on two EX’s for a quick six prize game. Of course this is the ideal setup of the deck, and it rarely works out that way. You can whiff Pokemon Catcher, forcing you to attack into something else. Not setup Lugia EX very quickly or be unable to attack consecutively with Lugia EX, which is usually a result of prized Plasma Energy. Your opponent can use a Max Potion to heal off Hammerhead damage, and now in this format, there is that new villain, Mr. Mime, who is out there to stop the good bench snipers of the world like Landorus EX and Darkrai EX. Even though the deck doesn’t always or often work out as planned, the speed and tenacity of the deck combine to make it a real threat against pretty much every deck in the format. Here is the list I ended up using for this tournament. I feel as though some other cards would be a good inclusion, but as I chose to tech against Klinklang, some cards like Max Potion were cut from the deck. I think for the most part I built a consistent build, but there are some issues/changes I may like to make to the deck as I will discuss later in the article. 4 Deoxys EX is the play in this deck, as three Deoxys EX are needed on the field to let Lugia EX hit the damage number (150) that you want, therefore, it’s important to be able to get 3 Deoxys EX in play most games by the time you start swinging with Lugia EX (which is often before you have taken your first prize). 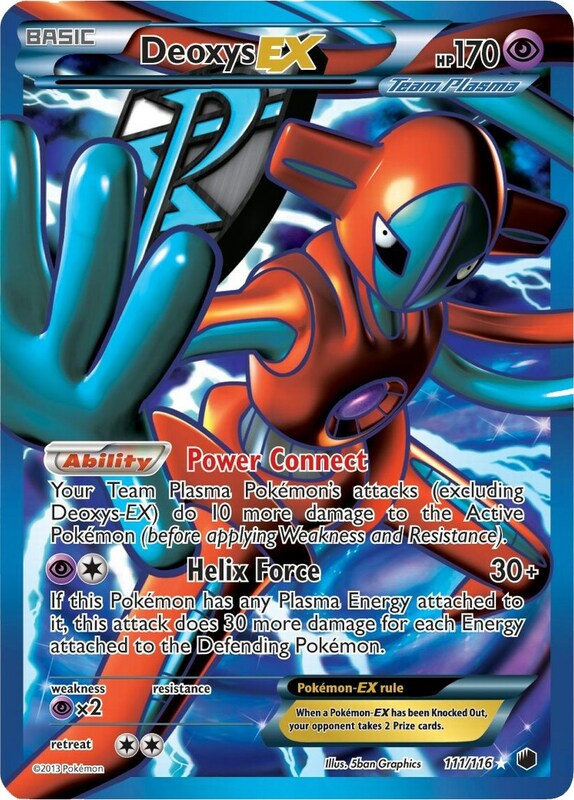 Therefore, reducing the probability of not having 3 Deoxys EX available because of prize issues is highly important for the deck. Bouffalant DRX can be big for the deck. Weird situations can happen against a lot of decks where you knockout a non-EX with Landorus EX and an EX with Lugia EX, or take out two non-EX’s with Lugia EX, leaving you with only two prizes remaining. A lot of times in these situations, Bouffalant will be just as effective as Lugia EX, just for less Energy and without the cost of discarding a Plasma Energy. Shadow Triad seems like a very good one of in this deck. The main purpose for me running the card was to add an extra turn of Plasma Gale beyond just the maximum of four turns allowed by the constraint of the limit to 4 Plasma Energy in a deck. As early discard of Plasma Energy from Professor Juniper or prize issues can restrict the number of Plasma Gale you’re allowed in a game, having another out to Plasma Gale again can be crucial. Team Plasma Badge can be used to give Landorus EX, Bouffalant DRX, and Victini NVI 15 a little bit of Energy acceleration, allowing you to setup the latter two in one turn, as well as speed up Lands Judgment by a turn. I am a bit conflicted between Dowsing Machine and Scramble Switch in this deck. 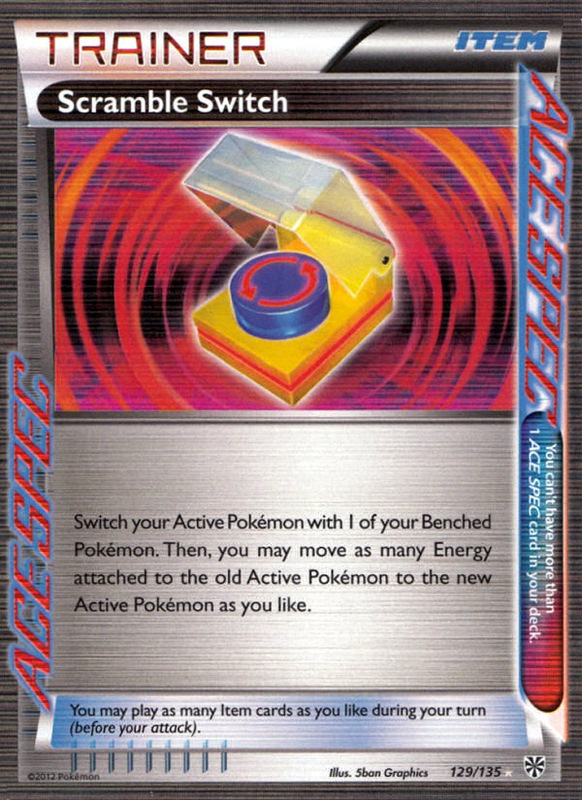 Dowsing Machine is my go to Ace Spec for pretty much every deck, as it gives you extra outs to all your important Item and Supporter cards, and can allow you to re-use 1-of tech cards. However, I still think Scramble Switch is probably the right choice for this deck as it has powerful attacks with high attack costs in Lands Judgment and Plasma Gale to setup. It’s a tough decision though, as while there will be games where Scramble Switch is big for you, there will be other games where you just have to Juniper it away because it serves no purpose at that point in the game. Frozen City seems like it could be very strong against a non-Plasma meta game. Added 20-40, sometimes more for your opponent’s attachments can easily setup your opponent’s Pokemon for being in knockout range for Lugia EX or Bouffalant DRX without any Hammerheading even being done. Altogether, I think having some sort of counter stadium is important for EVERY DECK in this format, so including one counter stadium was a no brainer for me and I think Frozen City had the strongest potential of all of the options out there. Three Double Colorless Energy seemed like enough to get Lugia EX powered up when I wanted to. Contrarily, seven Fighting Energy never felt like enough to consistently get the attack off with Landorus EX that I wanted at a given point. As a result at being right around 16 players, we only did four rounds in the Master’s division, so in order to make Top 4 and get into the prizes, you would need to go 3-1, with one of the 3-1’s bubbling out of the prizes in the end. I’m a little fuzzy on all of the details from my matches, but I still remember how my matches went for the most part. This was a matchup that I felt very comfortable going in against, and feel like my deck definitely had an advantage. I start Victini going first, and search out a Lugia EX. I attach a DCE to Victini, Scramble Switch to Lugia EX, and play a Colress Machine. At this point I am off to a good start with three Energy on Lugia, so I decide to get aggressive and play my Professor Juniper instead of my N, and get two more Colress Machine off of the Juniper, and instantly play them to further power up Lugia EX. Sure enough, I would get paired up against Klinklang, so throwing that Victini into the deck last minute sure was looking good right now. 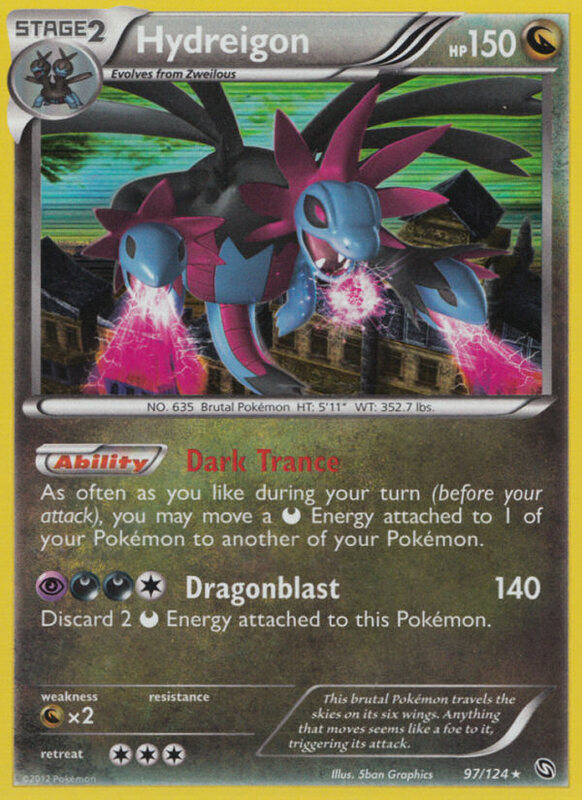 The Klinklang phenomena is amazing in a tournament like this, as most of us playing our EX heavy decks don’t want to be playing them, and the Rayquaza/Eelektrik and Chandelure decks we were depending on taking them out had lost in the first round. Some of us, like myself, had teched lightly for it, and others had not teched for it at all, so playing Klinklang was of some concern. As a result, each round, there was a goal to move as much of the Klinklang out of our record tier and then hope we don’t happened to get down paired against one. Round one took out one of the Klinklang decks as two of them had to go against each other, and then this round the other one would lose as the result of the player showing up late for their round, so it would be my job to take out the other one. The way I had theorized this matchup is I would go for an aggressive Lugia EX start and try to Plasma Gale my way to a very early prize lead, trying to take anywhere from 2 to optimistically 4 prizes in the early game by taking out Klinks. My opponent goes first, and gets two Klinks benched.Idon’t really have the greatest hand for a turn one Lugia EX, and don’t think it would be a good idea to depend on good draws off my Supporter to setup the turn one Lugia EX, so I just opt to start with Landorus EX and try to get Lugia EX setup for turn two, and hopefully knockout a Klink with Hammerhead damage if I can’t get Lugia going. After playing my Supporter for the turn, it turns out I could have gotten the turn one Plasma Gale off if I had played my initial Energy attachment different, oh well. On turn two, my opponent plays down Klinklang, so I am locked out of attacking with my EX’s, so I switch my focus onto Bouffalant and Victini to save me. I get Frozen City into play, which was good as my opponent was continuously taking 20 damage everytime he attached an Energy to his Pokemon, which could be used later to setup KO’s for Bouffalant. After a few turns of treading water, I end up with a great hand featuring Ultra Ball, a Fire Energy, Scramble Switch, and just enough Pokemon to fill my bench with Pokemon after the discard from Ultra Ball. I grab my Victini, attach the Fire and Scramble Switch him into action and KO the Cobalion EX and knock all of my oponent’s Energy off the field, and go ahead 2-0 on prizes. Since my opponent has no Energy on his field, I am confident that I can get at least another KO with Victini, and then just finish it with Bouffalant DRX if needed. My opponent catchers up a Deoxys EX in an attempt to stall, but I think it only stopped me for one turn before I got the Switch, at which point I catchered his Registeel EX and took two more prizes to go ahead 4-0. From there, my opponent never got much more out and I just knocked out a few more of his Fire weak Pokemon for the win. I was hoping to draw a Darkrai based deck at some point in the tournament as it seems to be a very favorable matchup for the deck. 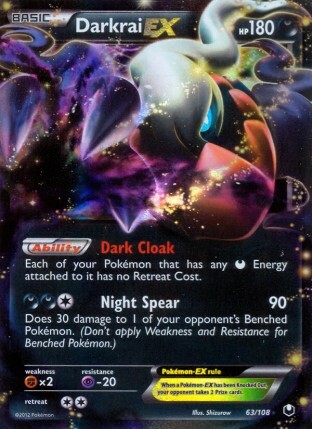 For my first foray with Darkrai in this tournament it wouldn’t be against a straight Darkrai EX variant, but rather a Hydreigon variant, which had the potential to be annoying because Max Potion could remove the snipe damage from Hammerhead, preventing Lugia EX KO’s on those EX’s. I get off to a ridiculously slow start in this matchup, starting my Victini as my only Pokemon. I couldn’t get too mad at him as he had just won me the last game, but in this game I was blocked from getting a Landorus EX active and attacking until around turns 3 or 4, luckily my opponent didn’t get a super great start because of the clunkiness of a Stage 2 deck in this format. If memory serves correct, my opponent jumped out to a 3-0 prize lead, taking out a Landorus EX and my Victini for his first three prizes. This wasn’t too big of a deal, as I was going to be able to catch up almost immediately with a Lands Judgment followed by Plasma Gale. 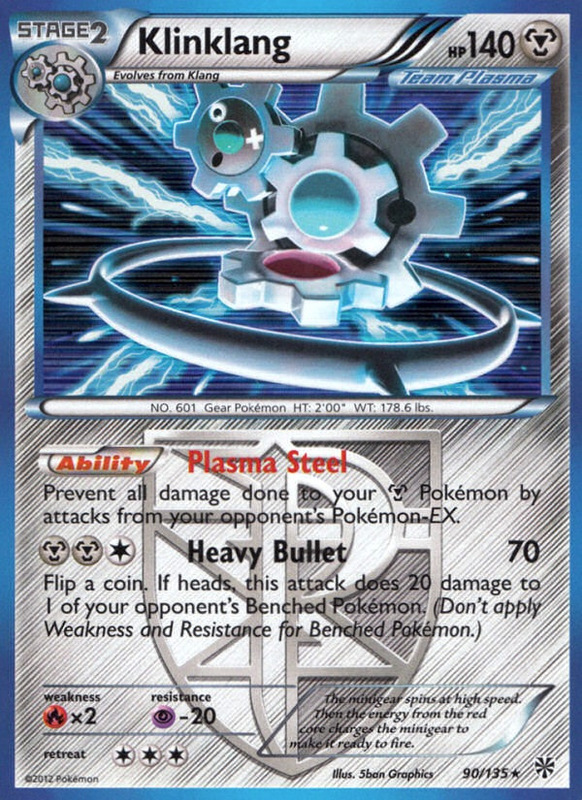 One of the big things that happened in the game was my opponent had Tool Scrapped my last Plasma Badge the turn before I was going to be ready to Lands Judgment, which forced me to discard the two Fighting Energy to keep up in the prize race. If I had been able to keep the two Fighting Energy on my Landorus EX, I would have easily won the game as he could never play down a Darkrai EX without it being OHKO’d. From there, I believe I knocked out a few more Pokemon with Landorus EX but I may have just knocked out a Zweilous with Lugia EX, not quite sure which was the case. Because of a late game N, the game works itself into a weird spot where both of us are essentially in top deck mode. My opponent didn’t have a Darkrai EX in the active so he had little mobility with his Pokemon, which caused him to continuously junk hunt Max Potion. I ended up in essential top deck mode, just aiming for one Energy card to get me the win for the game, as I already had the Pokemon Catcher in hand. I had a Fighting and Plasma on my Landorus EX and an assortment of three Energy, which included a Plasma on Lugia EX. If I drew any Energy card, I could win the game by using Plasma Gale on a Sableye, if I drew a Fighting, I could just Lands Judgment his Darkrai EX. I got neither for 3-4 turns and lost as a result. This is probably about as good of a matchup as this deck can get. I think I go second in this game, and catcher up my opponent’s Darkrai EX and Hammerhead it for 60 and Lugia for 30. I then setup Lugia EX via Scramble Switch with just enough Deoxys EX and knockout my opponent’s Keldeo EX for my first three prizes. This was the ideal start for this deck, and I had all of the stuff that you dream about in this matchup to make for a quick game. Turn one Hammerhead to two EX’s, turn two Plasma Gale, it just can’t be stopped…well except when you prize two of your Plasma Energy and had to discard one with Professor Juniper on turn one. I did not pull any of my Plasma Energy off of my prizes, so Lugia was relegated to bench status for most of the game. 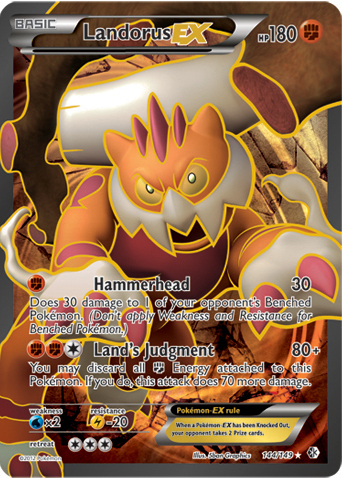 I in turn go to attacking with a Plasma Badged Landorus EX, which seemed to be pretty strong in the game. I am able to 2HKO a Darkrai EX to go down to just one prize, and draw the Plasma Energy off my prizes. Not perfectly sure what happened here, but I know I got a Plasma Energy off my prizes, but didn’t play it down because of fear of Enhanced Hammer, and I needed a DCE to retreat my Deoxys EX because I was out of Switch, so I wouldn’t be able to attach it the same turn I played down Deoxys, so the game ended up coming down to using Hammerhead for 70 damage on a Sableye with a Plasma Badged Landorus EX. In the variants I had played previously, I chose to play a Hypnotoxic Laser engine for added damage with Hammerhead (and to a lesser extent Gold Breaker and Plasma Gale) to setup knockouts for Lugia EX. In this tournament, I chose to go with a Deoxys EX engine. I want to quickly cover the Pros and Cons of a Deoxys EX version versus a Hypnotoxic Laser version. 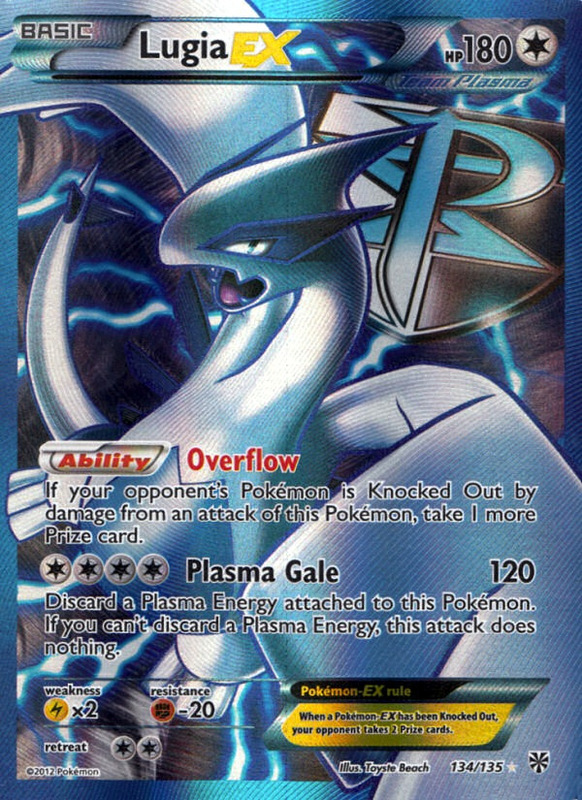 Can Plasma Gale while using the Overflow Ability to knockout EX’s after just one Plasma Gale. Requires additional setup for your bench. Takes away Hypnotoxic Laser stall. More difficult to get off turn one Hammerhead because of increase in other likely starting Pokemon. Can be a major liability on your bench for Catcher stalling. 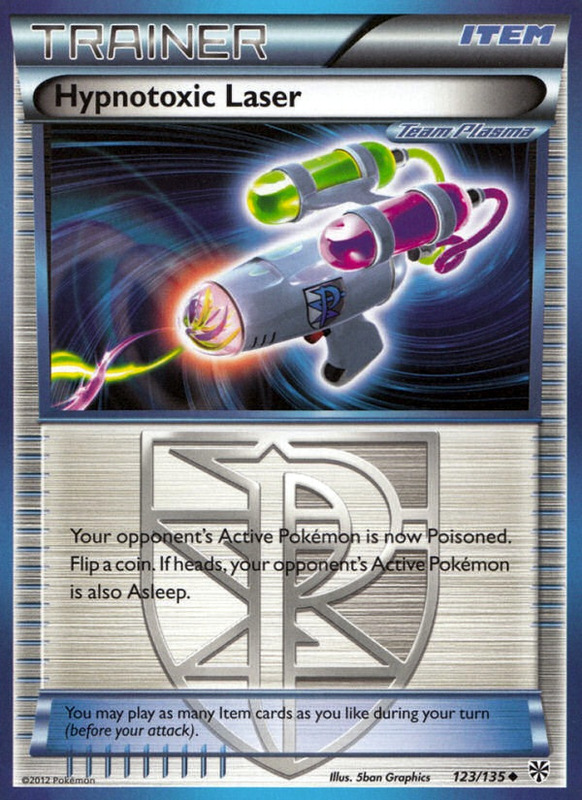 I am a bit mixed on which way to go with the deck, but I think the Hypnotoxic Laser version would be what I play if I play it again as it’s a bit faster and provides more room for stuff like Max Potion and more Energy. I think the catcher stall problem could be solved somewhat with Keldeo EX and Float Stone, but that can make bench management a little bit messy, as you will almost always want three Deoxys EX benched, which only gives you one spot to setup a backup attacker. An issue I’ve had all weekend is Tool Scrapper disrupting my strategy by removing my Tool Cards (Exp. Share on Saturday, Team Plasma Badge Sunday, and Float Stone on both days). Therefore, I am a little hesitant to work with any deck that is overly dependent on their particular Tool Cards, which luckily this deck was not. Overall, I was very happy with how this deck performed. I was a little disappointed that I couldn’t beat the Hydreigon deck and take first, but third place is good as well too. I think Lugia EX is one of the real stars of the format, and think it will do well both throughout Battle Roads as well as Nationals. I think the Landorus EX/Lugia EX deck is one that holds some of the most potential as we approach the National Championship. This might be it for Battle Roads for awhile. I may attend one in Chicago this weekend as I’ll be visiting family in Wisconsin, and might do one in Columbia, Mo. next weekend, but both of these take a bit of travel, so I might not play again until we start up Battle Roads again in St. Louis on June 8.